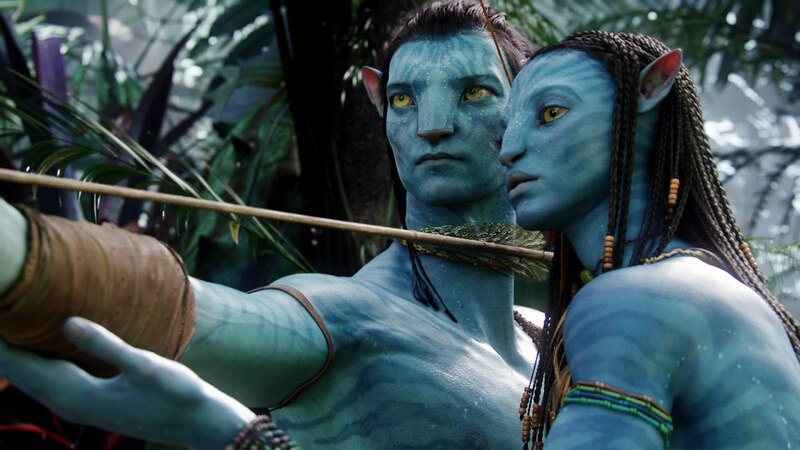 21 Little Known Facts About The Movie ‘Avatar’! Avatar is a 2009 American epic science fiction film directed, written, produced, and co-edited by James Cameron, and starring Sam Worthington, Zoe Saldana, Stephen Lang, Michelle Rodriguez, and Sigourney Weaver. The film is set in the mid-22nd century, when humans are colonizing Pandora, a lush habitable moon of a gas giant in the Alpha Centauri star system, in order to mine the mineral unobtanium, a room-temperature superconductor. The expansion of the mining colony threatens the continued existence of a local tribe of Na’vi – a humanoid species indigenous to Pandora. The film’s title refers to a genetically engineered Na’vi body with the mind of a remotely located human that is used to interact with the natives of Pandora. 1. Director James Cameron, known for being tough on set, allegedly kept a nail-gun on set that he would use to nail cell phones, that had the misfortune of ringing, to a wall above the exit sign. 2. The Na’vi language was created entirely from scratch by linguist Dr. Paul R. Frommer. James Cameron hired him to construct a language that the actors could pronounce easily but did not resemble any single human language. Frommer created about 1,000 words. 4. The cigarette that Sigourney Weaver’s character “smokes” is computer-generated. 5. James Cameron originally planned to have the film completed for release in 1999. At the time, the special effects he wanted increased the budget to $400 million. No studio would fund the film, and it was shelved for eight years. 6. Jake’s atrophied legs were prosthetics cast from the legs of a real paraplegic. Sam Worthington’s real legs were tucked into the wheelchair and digitally removed in post-production. 7. 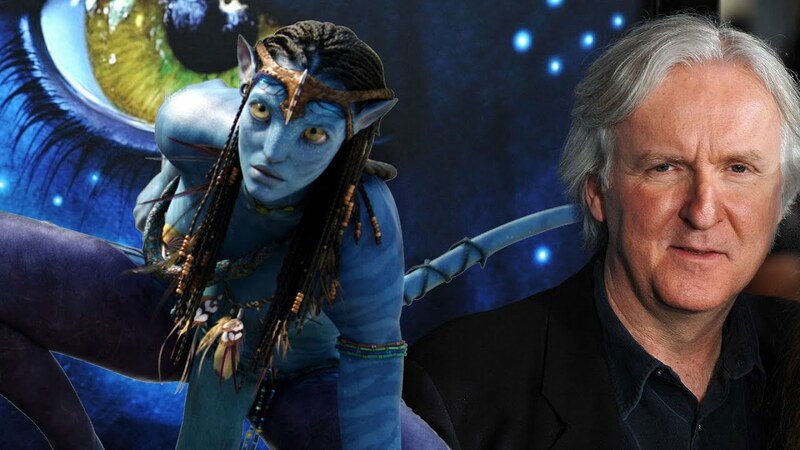 According to James Cameron, the Na’vi are blue to create a conceptual parallel with traditional Hindu depictions of God (e.g., Vishnu and his later “avatars”–a Sanskrit word meaning “a manifestation of divinity in bodily form”–such as Rama, Krishna, etc.) but also because Cameron just liked the color blue. 8. To appease 20th Century-Fox’s fears, and remembering the harrowing experience of Titanic (1997) and its production overruns and costly delays, James Cameron promised to forgo his director’s fee if Avatar (2009) flopped. 9. Each frame (1/24 of a second) of the CGI scenes took an average of 47 hours to render. 10. First movie to ever cross the U.S. $2-billion mark worldwide (and later the U.S. $2.5-billion mark), making it the highest-grossing film in history (not adjusting for inflation). 11. James Cameron wanted an unknown actor to play Jake Sully, because it would give the character a “real” quality–the guy you want to have a beer with, who ultimately becomes the leader who transforms a whole world. 12. 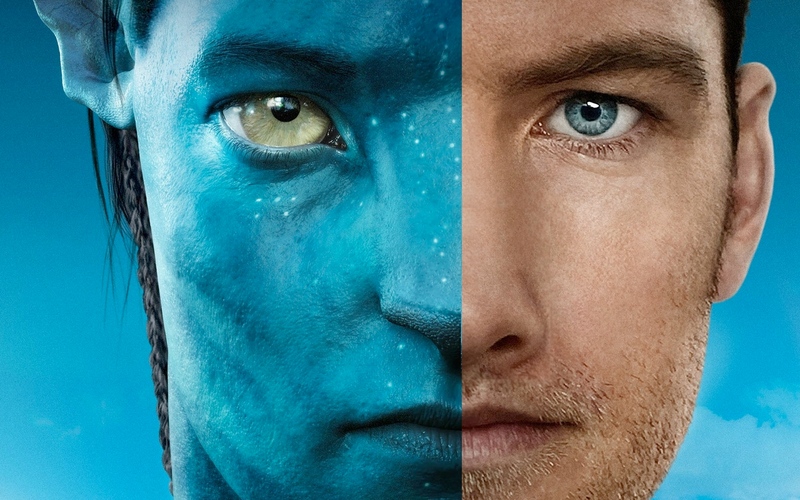 Sam Worthington said in an interview that it was easier for him to master the Na’vi language than the American accent. 13. To help the actors prepare for their roles, director James Cameron took the cast and crew to Hawaii, where they spent their days trekking through the forests and jungles and living like tribes (building campfires, eating fish, etc), in order to get a better sense of what it would be like to live and move around in the jungle on Pandora, since there would not be any actual jungle sets to aid and guide the actors and crew. Zoe Saldana even dressed up as a warrior during these journeys, complete with an alien tail symbolic of the one her character has in the movie. These hikes were only done during the daytime, however, as the cast and crew spent their nights at a Four Seasons hotel. 14. James Cameron admitted in an interview that he got the idea for “Avatar” after watching Disney’s 1995 animated film Pocahontas (1995). 15. The whooping and cackling sounds made by the wolf-like predators on Pandora are actually real spotted hyena calls. 17. The word “avatar” is Sanskrit for “incarnation.” It is used extensively in Hindu scriptures to refer to human incarnations of God. 18. The book Grace picks up in the abandoned school is called “The Lorax” by Dr. Seuss. Like the plot of the film, the book is about a forest full of beautiful trees and mystical creatures that are destroyed by man’s lust for ever growing industry. 19. The movie is 40% live action and 60% photo-realistic CGI. A lot of motion capture technology was used for the CGI scenes. 20. The first movie to be shot with a 3D camera, released in 3D and in IMAX 3D to be nominated for the Best Picture Academy Award. 21. The spiral-shaped, retracting creatures Jake encounters early in the film are giant versions of Christmas Tree Worms, a marine invertebrate commonly kept in reef aquariums.